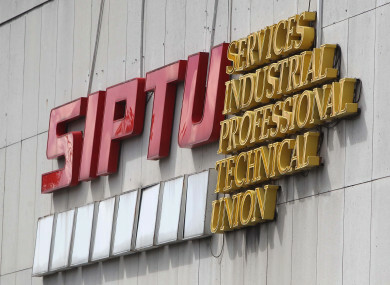 SIPTU MEMBERS EMPLOYED by Section 39 healthcare organisations will go on strike in September after talks collapsed at the Workplace Relations Commission. Section 39 organisations are voluntary organisations who have service legal agreements with the HSE to provide health and social care within communities. Some 12,000 Section 39 workers receive dual salary funding between the HSE and voluntary contributions. Their main salary funding comes from the HSE through a grant. The grant was cut back in 2010, leading Section 39 salaries to be cut in line with those in the public sector. “After months of intense campaigning our members feel that what is being offered is too little, too late and will be striking on Tuesday 18th September. Our members will do everything possible to protect service users throughout the periods of strike. Separately, the Psychiatric Nurses Association (PNA) today announced that it will hold a ballot of members of its ambulance service personnel branch (the National Ambulance Service Representative Association NASRA) for industrial action, up to and including strike, in protest at what it calls “the continued refusal by the HSE to engage in negotiations with the PNA when representing the interests of their ambulance personnel members”. Email “Thousands of healthcare workers to strike in September”. Feedback on “Thousands of healthcare workers to strike in September”.